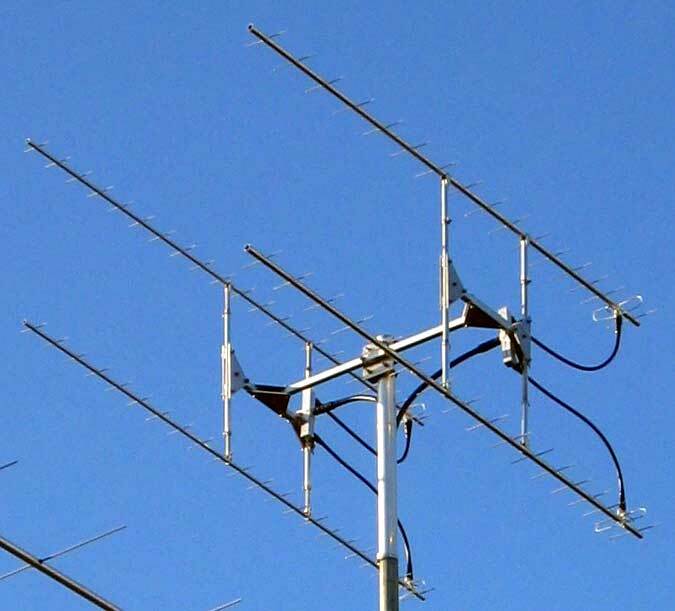 The 23cm array is on the left side of the stacking frame as you see it here, and the 33cm array is on the right. Vertical stacking distances are 23" and 27.5" respectively. 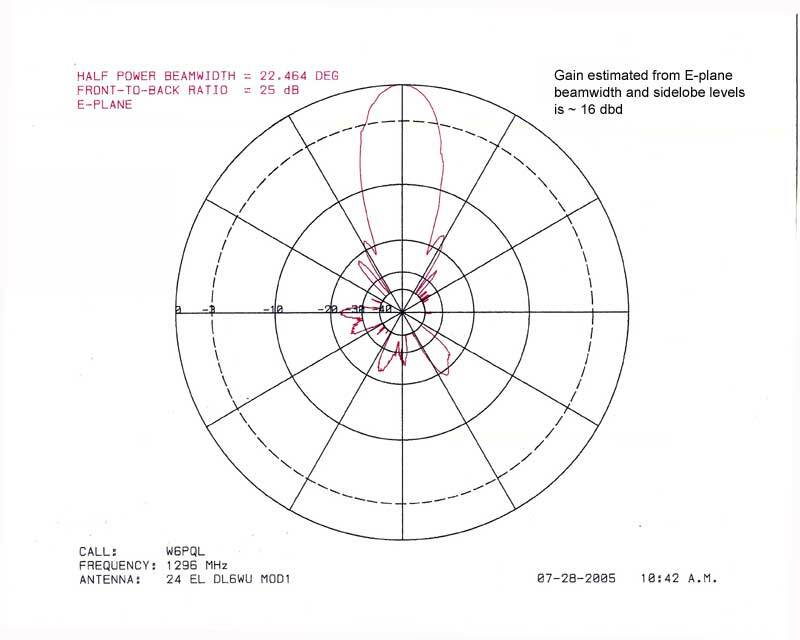 These distances were determined using the formula D (in wavelengths) = 57 divided by the 3-db beam width. 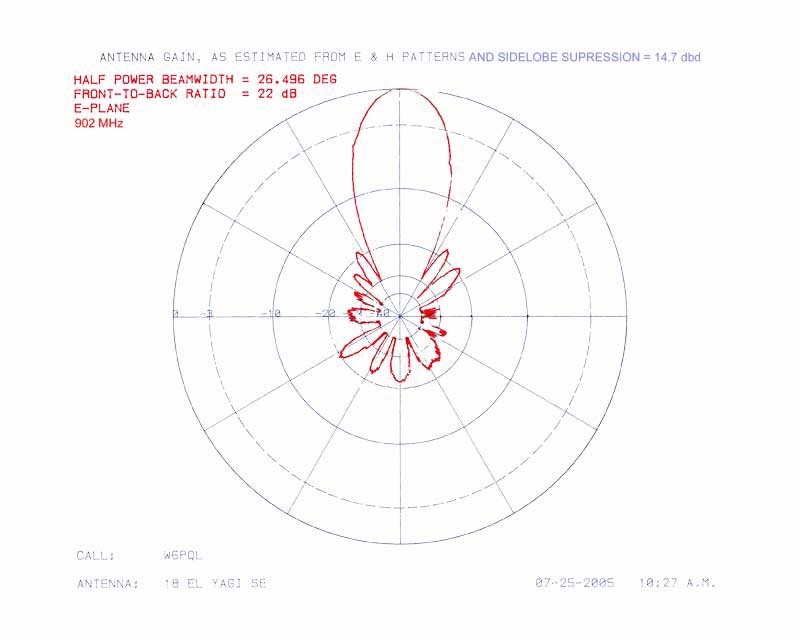 E-plane patterns for single antennas were measured on an antenna range; polar plots follow in the second and third pictures.